Independent News Coverage Pakistan, just as the name says, we all are united and determined to spread awareness, with in three months site has crossed over 104,000/- hits so whats the idea behind it. We are working on the core news by the people and for the people unlike media trend and trolls we are not bound nor support, to the point specific ~ Voice of the People ~ stories and issues, News and Views by ordinary people like you and me. INCPak is expending and new contributors are joining, let you voice be heard and share the stories untold ! Not only the technology but common issues and general news updates all is there. Recently i posted about Advertise with us, INCPak is based on a vision to help humanity i personally want to extend INCPak from virtual world to physical one where we promote Education primary level specially and go live stream and interview common people on the basis of no personal gain but the unity and to spread awareness. I don’t know about you but when i started blogging i seriously had no idea that daily hits and visitors really respond back, So i understand the power and the responsibility for my country and the people Join INCPak team and be the part of new trend which is slowly changing the perception of many on social media stream and News Related ! If you want to advertise on INCPak than we are offering good deals ! I am also human like you and I am doing my best to aware share discuss issues. I want your support on INCPak website, submit your stories issues which are facing in your town villages cities? Let’s help each other I am no stranger for you all and independent news coverage pakistan is for all. Send me an email with the images of how messed up life is in Pakistan it is out duty to aware the world why neglect it? We are ignoring actual issues and being dividing each other this is what the world wants but think of what Prophet Muhammad S.A.W said each muslim is a brother of one another than where is your brotherhood?? 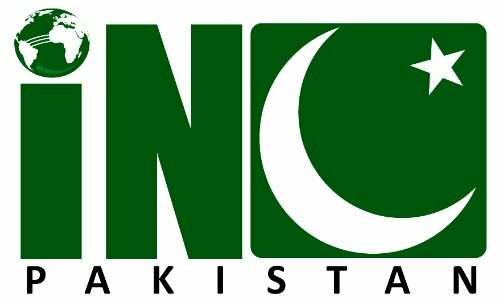 Join on facebook and twitter support http://www.incpak.com show me I am not alone I need your support to together we secure the future of the generation ahead, you really have no idea the power of journalism but trust me its much powerful than nuclear, once we unite and fight against wrong. Nothing in this world can break us, only solution is to unite. Why do I have to make you all understand that humanity and unity are the basics neither I am favoring politics nor I am interested because pakistan needs us as much as we need pakistan, check the contents there editorial writers. Who ever is willing to join me write to me at incpak@gmail.com , I am damn serious I am gonna do my best till my last breath , my heart cries when I see flood victims dying in this cold weather no shoes on their feet. I am not millionaire if I was I swear I would have done as much as possible without telling anyone, your support surely can bring the actual change because if your thoughts and intentions are to help out sort the issue than just do it, we all have to die what are we going to tell Allah that we saw and ignored because we didn’t had the time or didn’t trust anyone. Come on brothers and sisters stand up for what you believe write send me via email join me , help me to help others.